The biggest question is: how to stay concentrated? Especially in today’s digital environment where constant demands rush towards your mind and everything or everyone is pulling you in different directions. 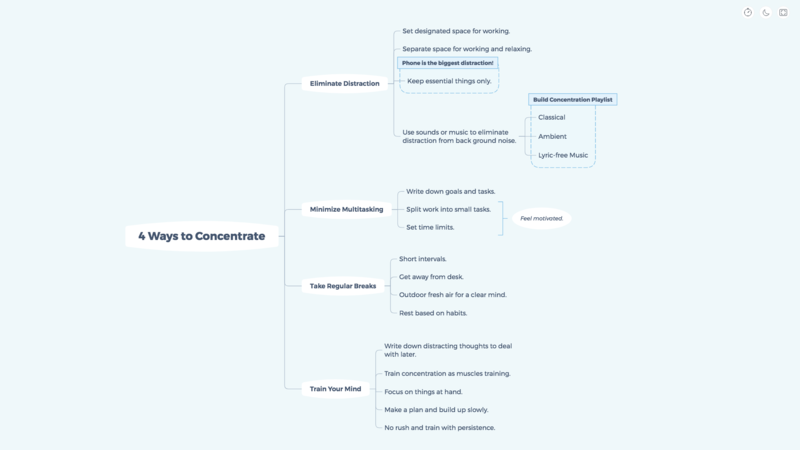 We’ve prepared you 4 ways to help you to stay on the right concentration track. Set a designated space for woking, and separate space for working and relaxing. 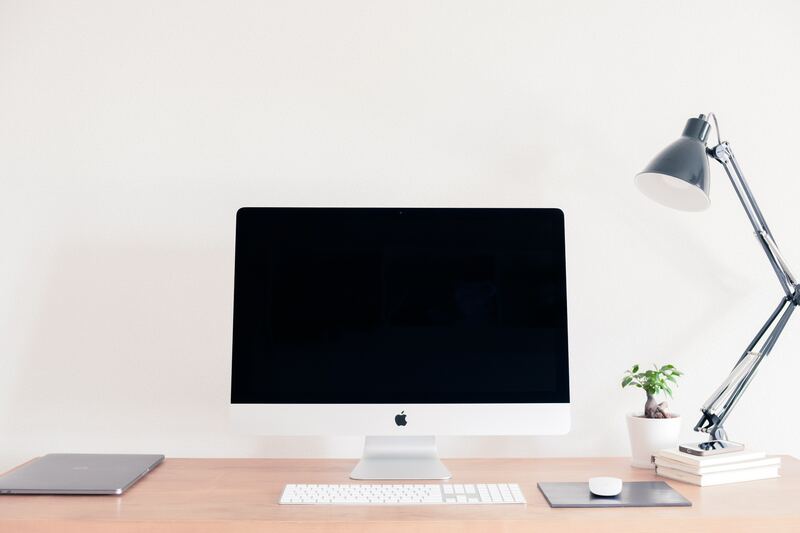 Lying in bed and working on computer is a leisure but we cannot deny it that’s not the first option for a productivity. Keep essentials things only. Phones are the biggest distractions nowadays. Put your phone out of your eyesight, unless it is crucial for your work. Leave necessary stationaries for saving the “which one should I use” time. Use sounds or music to eliminate distraction from background noise. Lyrics can be distracted, since you might have the intension to get drifted away with the words, or start conversation in your head with the singer. 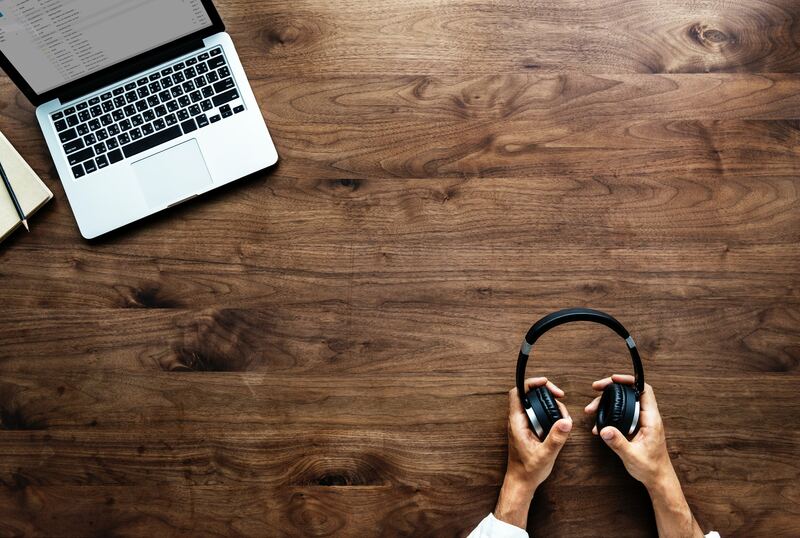 According to Dr. Amit Soon of the Mayo Clinic, *classical, ambient or other lyric-free music* that sets an appropriate mood that is conducive to the task at hand. Multitasking is an double-edged skill and can be a downside sometimes. If your concentration is a big pie, multitasking is like a knife to cut them into pieces. Write down goals and tasks, and arrange your time in accordance with them. You will have a clear mindset of what you are supposed to be doing without wondering of am I doing the right thing? With a plan, you are solid and easier to focus on the things at hand. Split work into small tasks. It is impossible finish a Big Mac Burger with one bite, so is the work. Slice the work into cubes, and swallow them one by one so that you can feel motivated during finishing the task. Set time limits. Arrange the time according to difficulty and emergency level of the tasks, making the best use of different period. Hence, improve the efficiency. Take a mental break is as significant as physical break. Short intervals is like gas station for a quick re-fill of your mind. Stand up and get away from desk for a thorough rest for mind and body. Outdoor fresh air is for sure the first choice for a clear mind. 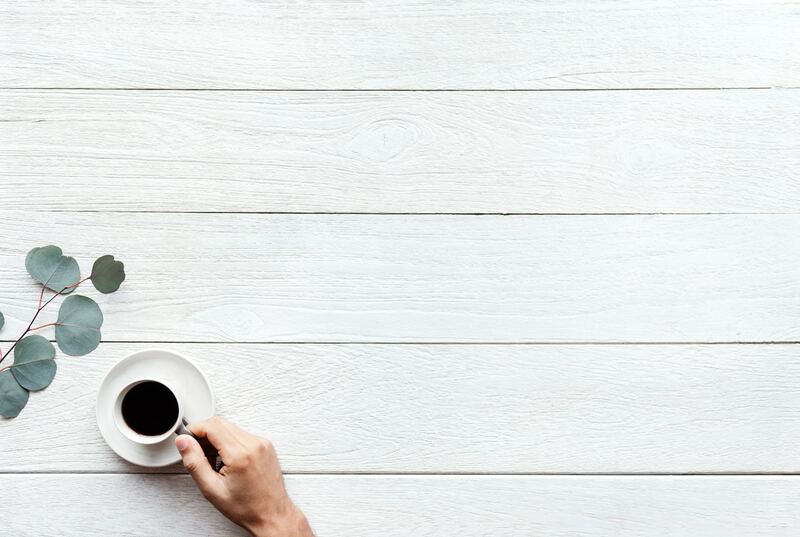 You can have a 5-minute break for 25 minutes work, or a 15-minute break for 45 minutes work based on your habits. 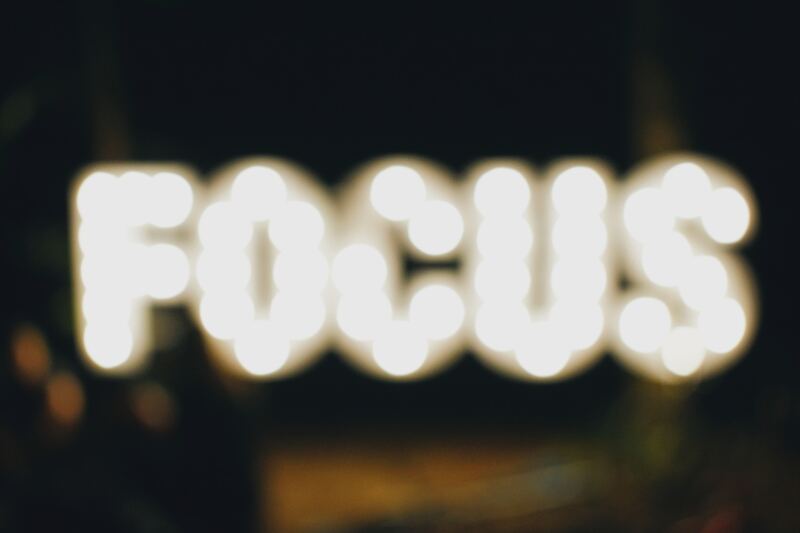 Train your focus, like you are building Lego. 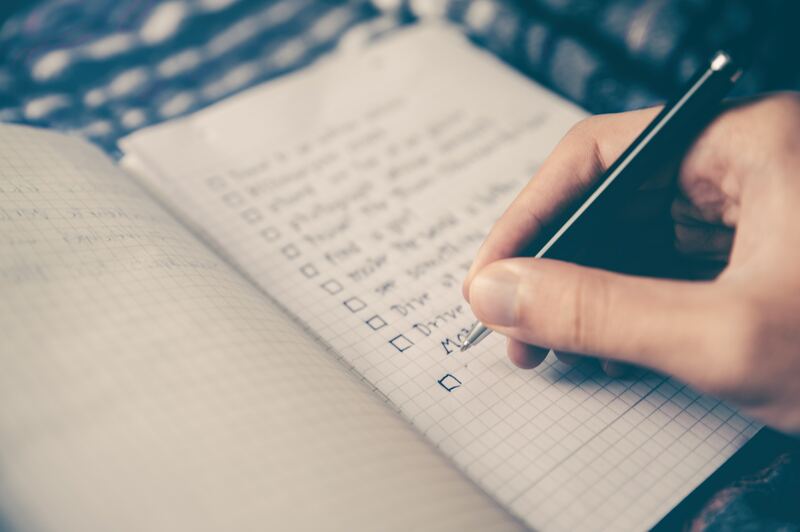 Start with writing down distracting thoughts or issues to deal with them later, so you don’t have to consistently think them from time to time. Start working on things at hand first before dealing with other issues. Try to start training yourself with a small goal instead of trying to jump tenfold. The more you get trained, the better developed your muscles are going to be. If your are tended to play the mobile phones when concentration in 10 minutes. Execute slowly, allowing your mind to get used to your concentration pace. 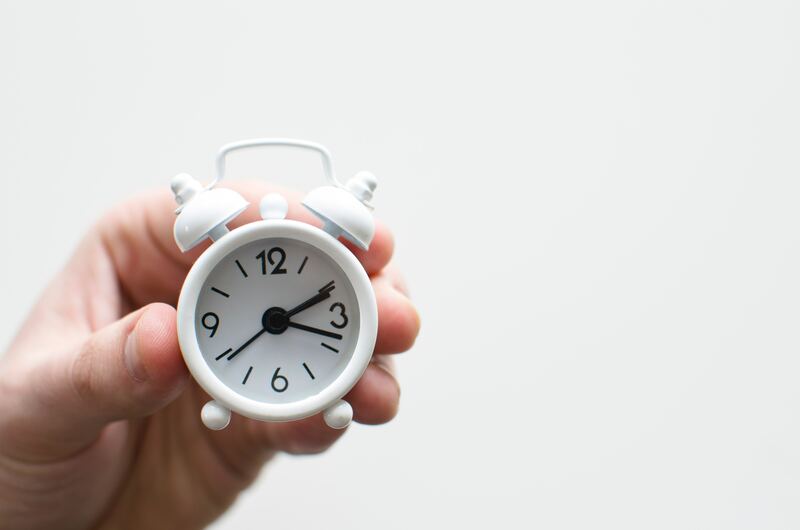 Pave your way to a longer concentration period with gradual persistence. Reading the 4 tips is easy, and it would be better if you practice them with effective tool, or under supervision. That’s what ZEN Mode came for – Resist the impulse to give in to distractions, and offer a private space for your concentration only. 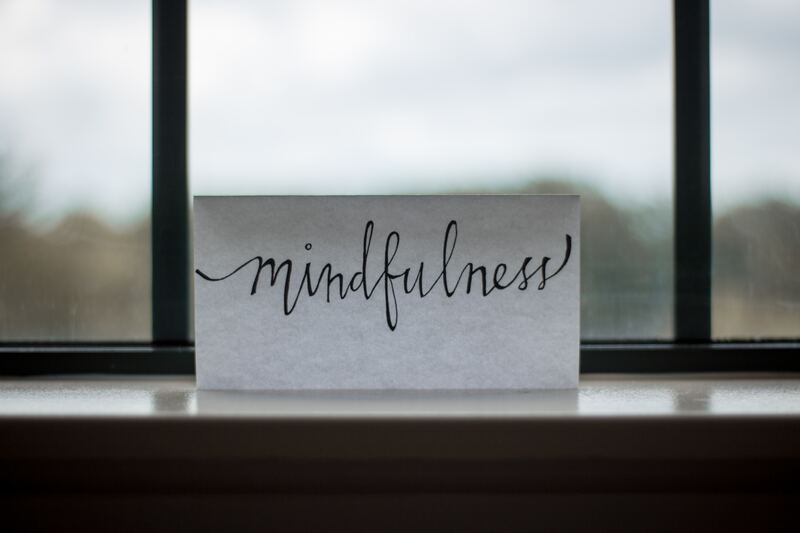 ZEN Mode is now available in XMind: ZEN. ZEN Mode eliminates extra features, and maintain the key features for mind-mapping making. Full-screen editing experience allows you to follow your Mr. Rabbit in your mind, capturing even a tiny little thought, clarifying the clutters. 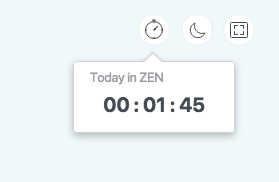 Today in ZEN is a timer for a precise recording of the concentration time. You can have a clear mind of current task time spent, improve efficiency and track your concentration process. Working at night usually happens in our life. ZEN Mode can be easily switched into night mode with a simple click, so that you can stay concentrated at night or in strong light. We always tend to believe that successful people are bestowed with determination and will power. But successful people were not born with these qualities, but they’ve found a way to harness and use them effectively. 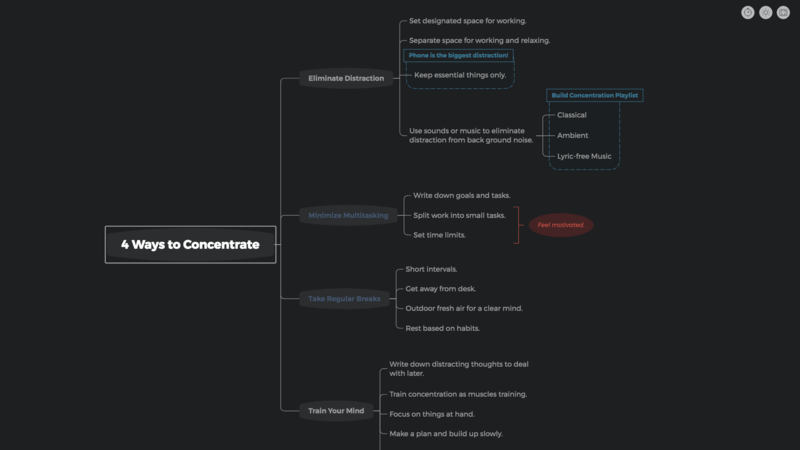 Start building your concentration wall today with ZEN Mode, and the best is yet to come.